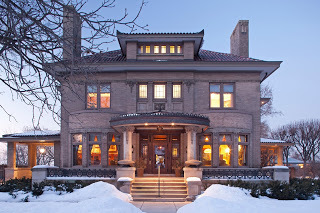 Built in 1905, this beautiful historic home was commissioned by Judge Charles Keith and designed by leading architect John Walter Stevens. 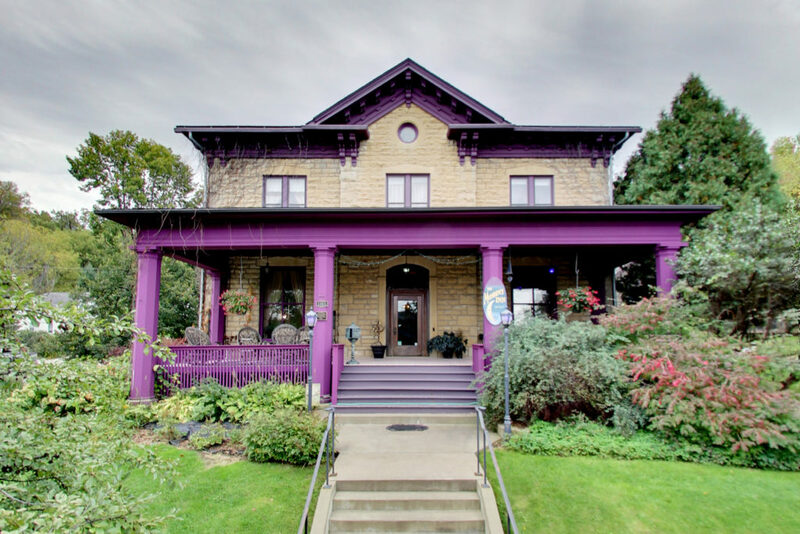 Mr. Stevens is well known for his commercial buildings in St. Paul, as well as designing several homes on Summit Avenue and in the Ramsey Hill historic district. 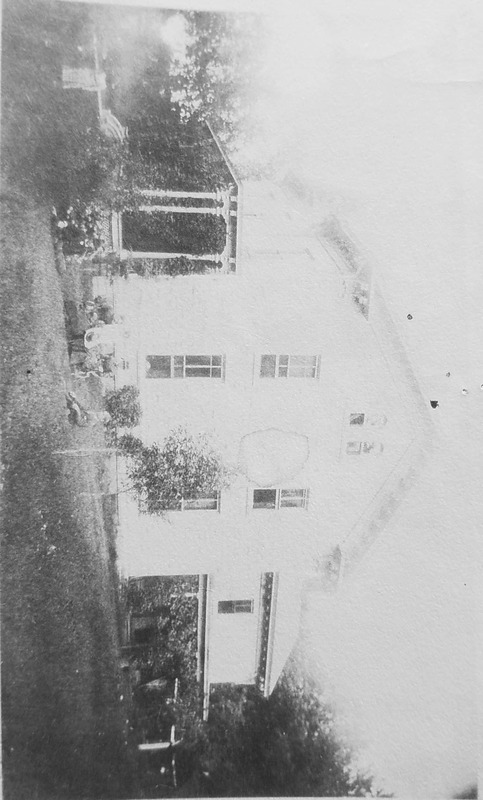 Owner Charles Keith was born in Farmington, Maine in 1851, moving to Princeton, MN in 1873. 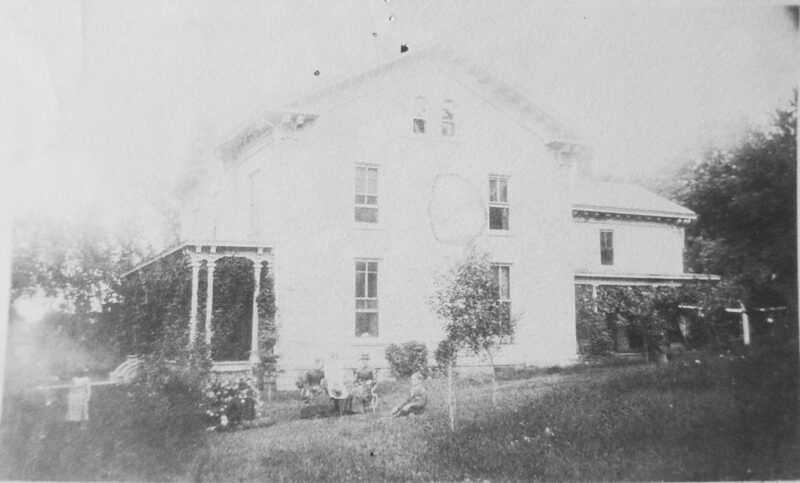 He quickly became a prominent figure in the county being elected Justice of the Peace in 1875 and Probate Judge in 1876. After holding the latter position for 10 years, he studied law and was accepted to the bar in 1892. In addition to being a banker and lawyer, he also was an expert timber cruiser, surveyor, and lumber businessman. Featuring a large lot with majestic trees and wrap around the porch, this amazing home retains most of its original historic elements. 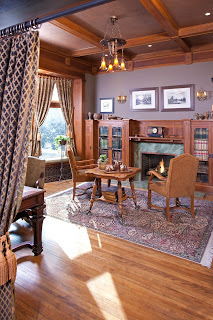 The Reception Hall walls are covered in the original lincrusta paper of a gold leafed nouveau design and features ceilings done in 3 inch metal leaf painted in deep red with oak design, as well as oak beamed ceilings and wainscoting.The most stunning room in the home is the formal dining room finished in dark oak paneling and beamed ceilings. 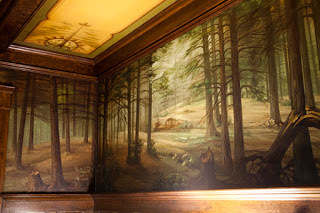 The room is surrounded by a hand painted mural of pine forests highlighted with pinecone and bough stenciled designs in-between each ceiling beam as seen in the photo below. I am sure there are plenty of people living in Minnesota that have no idea we have an architectural gem for sale in Stillwater, designed by none other than the infamous architect Frank Lloyd Wright. 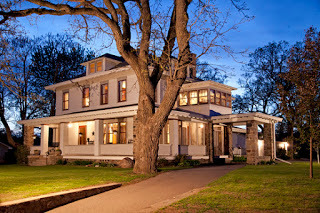 Known as the Donald and Virginia Lovness estate in Stillwater, Minnesota, the home sits on 20 acres of lakefront, featuring a 2 bedroom home, as well as a small cottage. 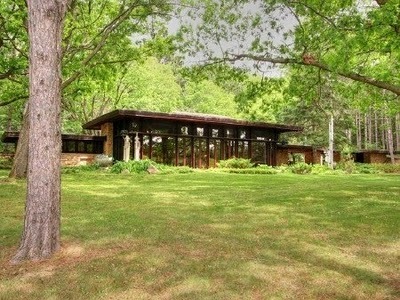 The home was completed around 1957 and was personally built by the Lovness family. They also had Mr. Wright design furniture and light fixtures, all included with the sale of the home. 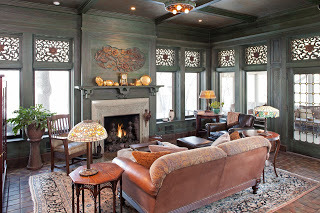 I have to say that the stone fireplaces in both buildings are absolutely stunning! 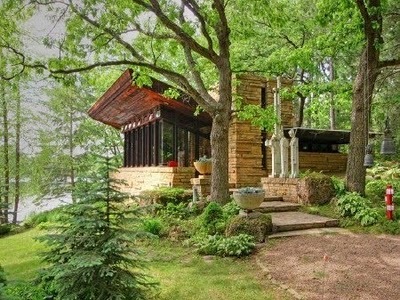 Built of Wisconsin dolomite stone and Fir wood, the home is now called the “Studio”, setting it apart from the 800 square foot “Cottage” (pictured above) just a few yards away that was completed in the late 1970’s. Wright also left plans for three additional cottages, which also are included with the sale of the home and await the new owner to finish. Mr. Lovness died in 2001 and is survived by his wife, who sadly is selling her dream home. Being the original owner, she and her husband have meticulously maintained the home over the years, which shows as soon as you step onto the property. For all this tranquility, it won’t cost you much – the current list price is $2.4 Million, listed with Lakes Sotheby’s Realty. If you would like more information on the home, or are an interested buyer, please feel free to contact me anytime!